Having skied various hills in BC and Alberta for the past 5 years, we decided that for the 2015/16 winter season we were going to change up our mountain activities. Inspired by watching mountaineering movies at the Banff Mountain Film Festival, and armed with new packs and an unlimited supply of hand warmers we decided we were ready to explore the Canadian Rockies backcountry! However, with limited avalanche training or experience of the true Canadian winter wilderness, we knew that our first tentative backcountry steps would need to be taken carefully into terrain where the relative risks were low. We did our research and found that the Sundance Lodge in Banff National Park would make for a great first trip given the limited avalanche dangers on the route in. There are two starting points to get to the Lodge – either from Banff Trail Riders Stables (16km one way) or from Healy Creek car park (10km). We chose Healy Creek as we had hiked the Sundance Canyon Trail along the banks of the River Bow in the Summer – nothing to do with it being shorter! 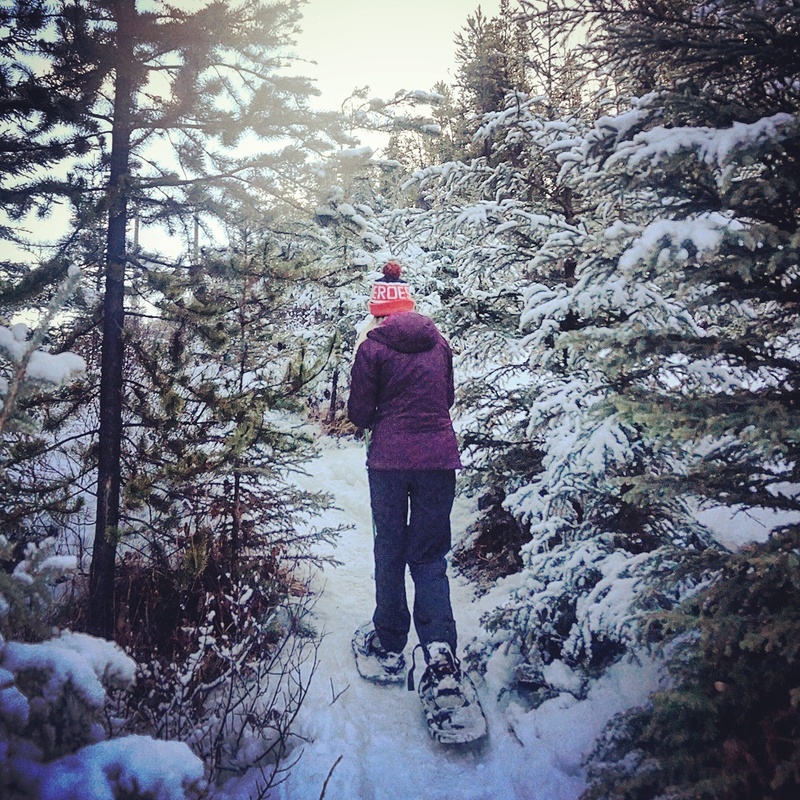 We chose snowshoes as the main means of transport for our trip; the tortoise of winter travel methods – slow, steady and safe for unknown routes! Other viable options include cross country skiing with tracks set for the classic technique. Given that the route is packed snow thanks to skidoos ferrying supplies to the Lodge daily, another popular approach is using fat bikes that can be hired from Soul in Banff. We took about 3.5 hours on snowshoes going at a leisurely pace to reach the Lodge, while those on skis / fat bikes beat us to the best fireside seats at the lodge, taking somewhere been 1.5 and 2 hours. Starting from Healy Creek Trailhead at the base of the Sunshine Village Access Road, the route starts with a 2.5km flat trek to the junction with Brewster Creek Trail. This initial part of the trail opens up in a couple of sections to provide some great views along the the Bow Valley. The trail then flattens out, and the winter sunshine starts to hit the route. Anywhere along here is a great time to stop for lunch. The trail then drops into Brewster Creek, which suffered a lot of damage during the 2013 floods creating a large washout area over which 2 bridges have been built. With a final 20 minute push, you round the corner to the sight of a warm cozy lodge with smoke bellowing from the chimney against the magnificent backdrop of the Sundance Range. Our friendly host Steve, greeted us at the door with the welcoming offer of freshly baked cookies and hot chocolate / ice cold beer. Room selection was on a first come first serve basis. Luckily for us (last to arrive), the 10 rooms in the lodge were only occupied by 3 other groups so we had a good selection of inviting rooms to choose from. With feet warmed by the fire, a bottle of red purchased and acquaintances made with other guests, we headed to the dinner table for a culinary treat. A creamy mushroom soup, was followed by braised beef finished off with a Lodge made lemon meringue pie. The food was delicious, which was not a surprise when we learned Steve, a gregarious local character, has spent many years working as an executive chief in Canada and the US, and this was now his retirement gig! The combination of board games, a good book and conversation with the other guests made for an enjoyable evening around the fire, which heats the whole Lodge. Although the bedrooms had no heating the super thick down duvets kept us very warm in our comfortable beds, while strategically placed lanterns provided assistance to find the washrooms on the bottom level. Breakfast was served around 9am – the pancakes, bacon, scrambled eggs and the best sausages we have tasted during our 5+ years in Canada, set us up well for the return journey! There is no phone signal at the Lodge (or wifi) – the only communication with the outside world is via CV radio (for emergencies only). Bring spare camera batteries as there is no way to charge them, and you will take lots of photos! The winter hours are short, with the sun disappearing around 5pm during December, so make sure you give yourself enough to get to the Lodge before you are in need of a headlamp! 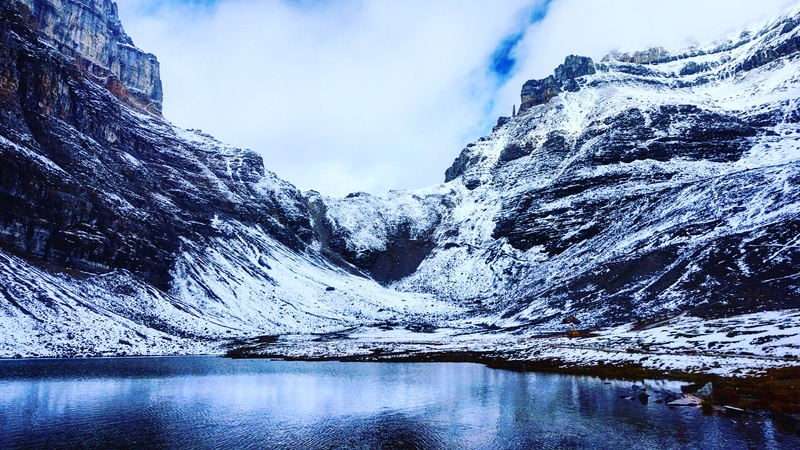 Only carry what you need – food and water for the trek in, a toothbrush and some Lodge clothes! A tasty lunch is provided for the journey out! Remember to turn the lights off to conserve power as the Lodge is powered by solar power! Bring layers and hand/toe warmers as the journey in during winter can be a bit chilly! Sundance Lodge was a fantastic location for our first backcountry foray combining a moderately challenging trek with the comforts of a comfy warm bed and tasty home cooked food! 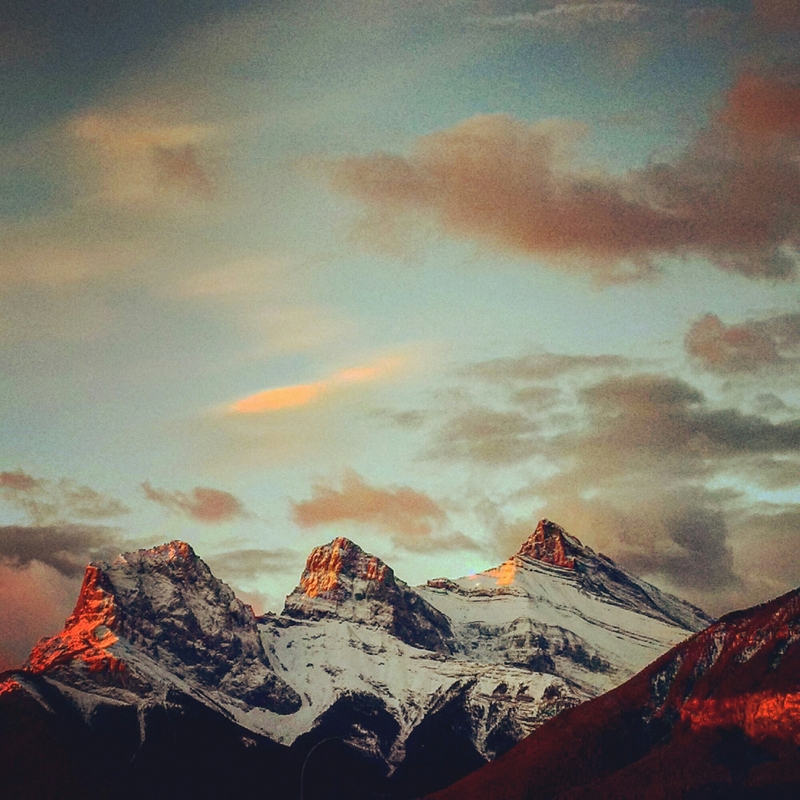 It’s not hard to take a good photograph when visiting Banff – simply look upwards, point and shoot. However, without too much effort you can turn some good holiday snaps into great ones. All you need is a set of car keys (and a car) or if the temperature allows, a bike. The entrance to Vermilion Lakes is situated just by the Mt Norquay road junction with Highway 1. The 4.3 km road winds along the shoreline of the 3 shallow Vermilion Lakes against an unspoiled Canadian Rockies backdrop. Sunrise or sunset both make a magical time to visit in any season. 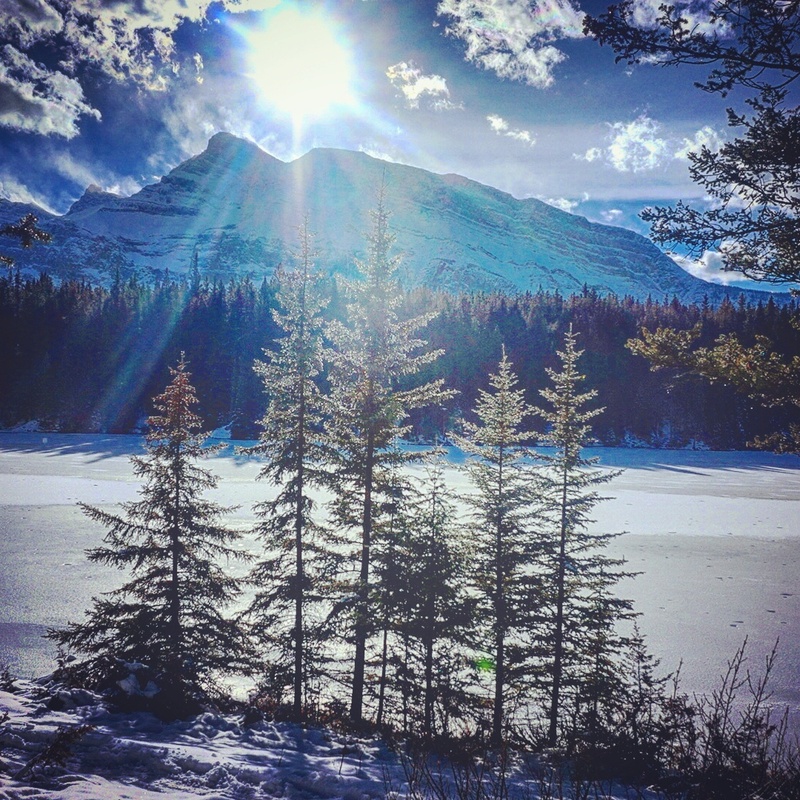 A top tip for those looking for that elusive reflective shot of Mt Rundle in winter is to drive to the 2nd lake and find the permanently open stretch of water just by the road. If you want to get a bird’s eye view of Banff without having to climb up 3000m or pay to go up the Sulphur Mountain Gondola, there is a great viewpoint off the Mt Norquay road. 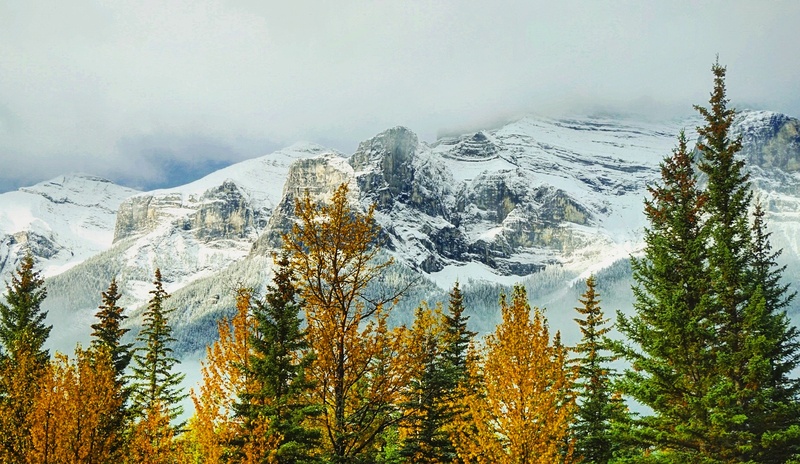 From the Highway 1 junction it is about a 10 minute drive up a series of switchbacks (we recommend winter tyres between November and April) until you reach the lookout, which offers spectacular views of Banff below and the surrounding mountain vistas! 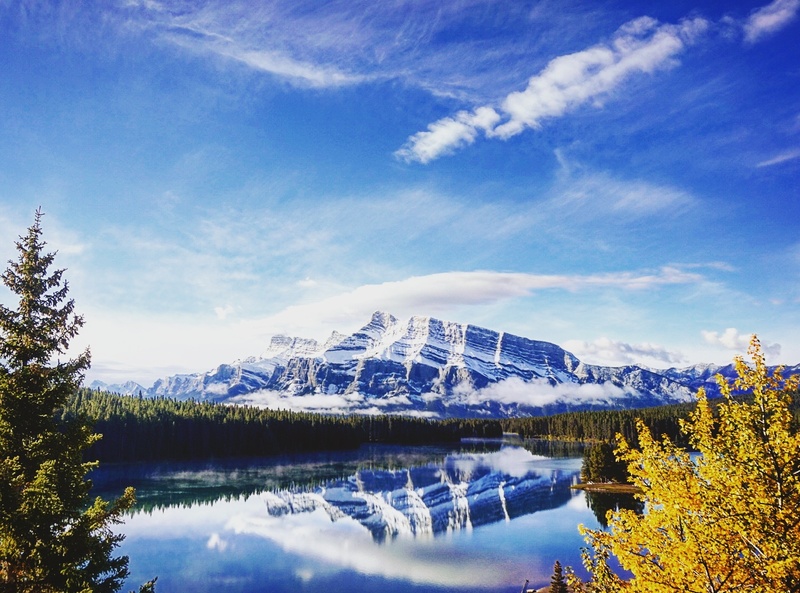 A must see for any Banff visitor, Lake Minnewanka is a 15 minute drive north east out of town – just follow the signs! During the summer months Brewster offer guided boat tours, while winter offers the chance to walk across the vast frozen lake, just wrap up warm as the wind can pick up! 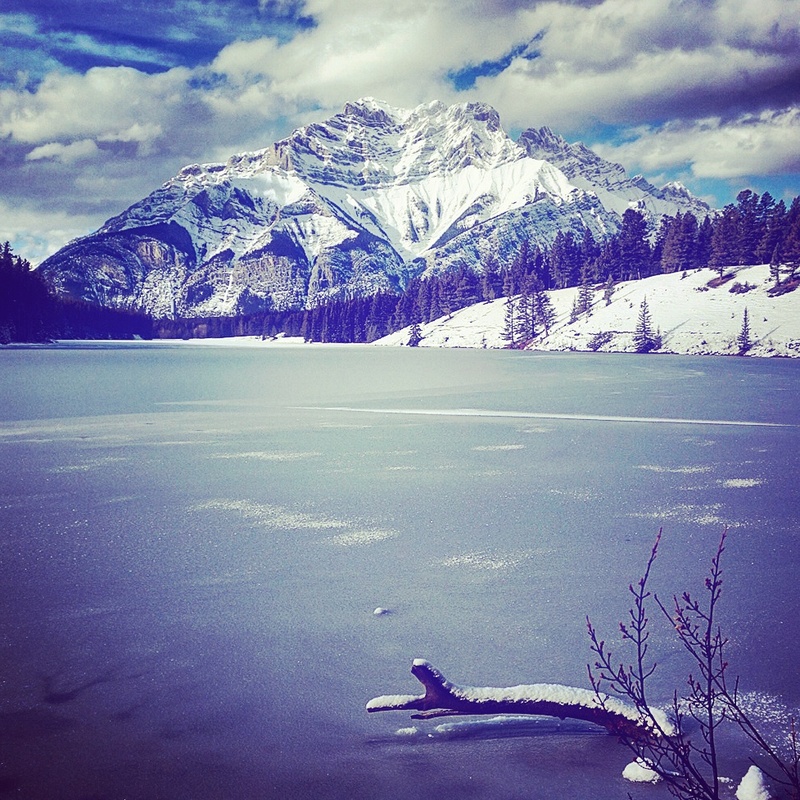 Neighboring Lake Minnewanka is Two Jack Lake, which offers phenomenal shots in any season. Top tip is to park up and head left along the lake shoreline at sunset to get shots of the red glow over Rundle and Cascade mountains! On the same road as Two Jack Lake, but a little more hidden down a 3km paved access lane is Johnson Lake. The circular lake walk offers the opportunity to capture the Banff ‘skyline’ from a variety of angles! The mysteriously named Hoodoos can be found by heading up the Tunnel Mountain road and pulling into the car park opposite the camp site. While the elevated views of the Bow River are great, a scramble down to the pointed rock formations is well worth it! 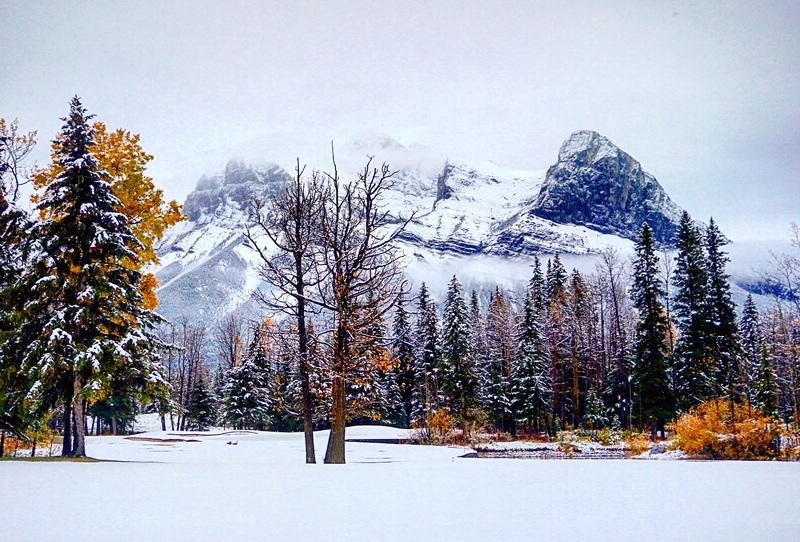 You don’t need to leave the Banff Town site to find some great shots. Simply join the river walk that starts near the railway crossing and follow this for an hour so down to Bow Falls, crossing the river at either the foot or road bridge. For those feeling a little more adventurous the Sundance Canyon Trail and Marsh Loop offer the chance to walk by the river west of Banff. Park at the Cave and Basin (free) and follow the signs. The clearness of the Bow River makes for some absorbing reflective shots! Many don’t realize that you need to cross the Bow River to get the best shot of the famous Banff Springs Hotel. Follow the road signposted to the Banff Centre until you reach Surprise Corner, and can look down on the majestic castle in the mountains! For those who are not interested in leaving the comforts of downtown, then the easiest shot of all is on the town’s only road bridge across the Bow River. Wait for a gap in the traffic, and once safe simply shoot the iconic image of Mt Cascade overshadowing Banff Avenue! Situated where the Pacific Ocean meets the Sierra de la Laguna Mountains, and the desert meets an oasis of palms and lush fruit trees, is the rustic Mexican coastal town of Todos Santos. With colorful aging buildings nestled beneath palm trees, cobbled roads, miles of endless unspoiled beaches and constant blue skies overhead, you could be mistaken for thinking Todos Santos is a quiet backwater set up only for surfer types looking to ride the Pacific Ocean swell. However, such first impressions would be a little off the mark. While the surfboard-carrying carefree types do frequent the shoreline, underneath the palm leaves lies a sophisticated town that is well set up to serve those seeking to escape the crush of San Lucas or San Jose. Handicraft shops, art galleries, upscale restaurants and boutique hotels all serve to meet the needs of the traveler seeking an authentic Mexican town experience without compromising on their home comforts. Set in a restored colonial building, the boutique Guaycura Hotel would not be out of place in London, New York or Paris. With exquisite furnishings, beautifully decorated rooms, four poster beds, copper bath tubs and private terraces you feel as if you have just stepped inside your own palace. A decadent breakfast menu including some wonderful eggs benedict is served in a beautifully appointed garden restaurant to the backdrop of Radio Mozart. A well-equipped reading room offers the weary guest the opportunity to relax while taking in one of the hundreds of travel books, while a roof top deck and swimming pool offers another attractive alternative for those wishing to enjoy the year-round warm climate. Situated on top of the Guaycura Hotel, the Sky Lounge is the perfect location to take in a sunset over the Pacific Ocean with a pre-dinner cocktail in hand. It’s worth staying a few minutes longer to enjoy the freshly cooked catch of the day paired with a local white wine. Situated 10 minutes drive from Todos Santos is a beach lover’s haven – El Faro is a quiet oceanside club featuring an infinity pool, the best beach “hammock” the world has ever seen, a swim up bar, a spa and a restaurant servicing delicious local cuisine including some excellent fish tacos. The admission fee is waived for those staying at the Guaycura Hotel. However, what really sets the beach club apart is the offshore entertainment provided by whales breaching on the horizon! At around 5pm each night hundreds of baby turtles are released into the Pacific Ocean from Playa La Cachora against the sunset backdrop. It is quite a honour to see these tiny animals take their first steps towards their new ocean home. With a west facing location looking out uninhibited across the Pacific Ocean, Todos Santos is a perfect location for sunset seekers. Located on the cliffs above the ocean and the town, El Mirador restaurant provides 360 degree views of the stunning geography that makes up the region. However, the view is only surpassed by firstly the best margaritas we have ever tasted, and then secondly by the quality of the food served. We were lucky enough to dine on a full moon for which a special set menu is served against the glittering ocean backdrop. Situated only 60 minutes north of San Lucas or 90 minutes from San Jose International Airport, Todos Santos is very accessible via a very new and quiet four lane highway. If you are planning a week in Baja California Sur, we would highly recommend Todos Santos as it offers an authentic Mexican getaway for those seeking a personalized luxury experience without the traditional Cabo crowds. The best places are always the ones that only the locals know about. Those secret spots that allow you to connect with a location at your own pace without a crowded tour bus in sight! 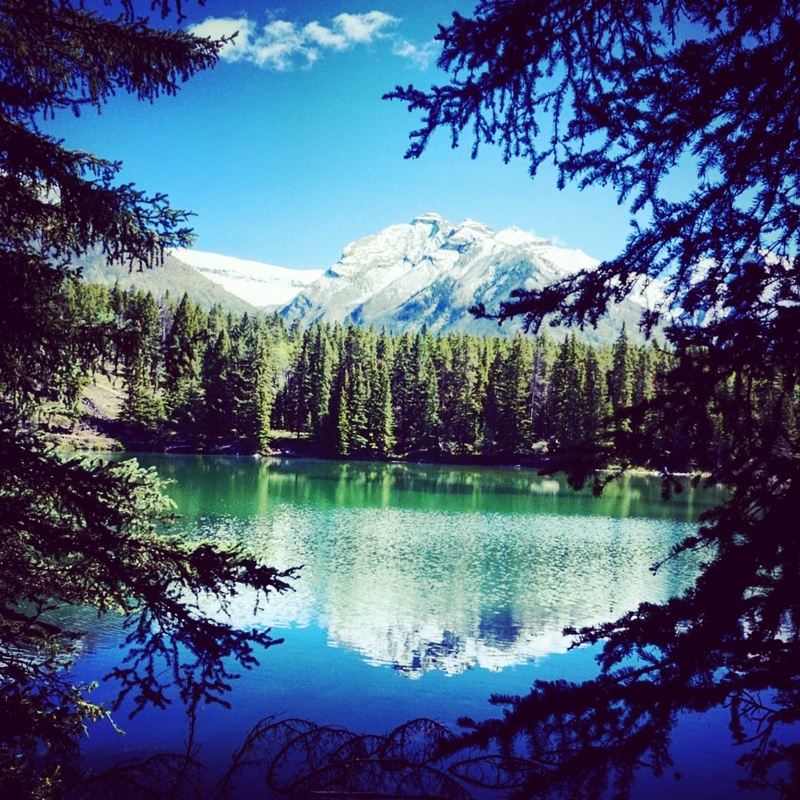 Johnson Lake is one of those local’s spots that is just a 15 minute drive from Downtown Banff. 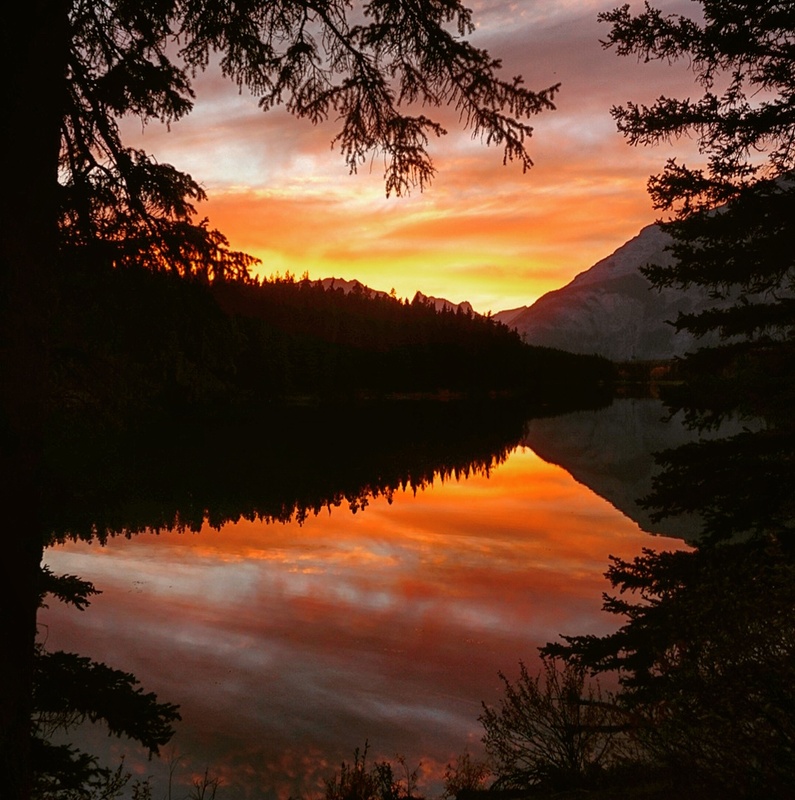 Tucked away down a 3km paved access road, Johnson Lake is often overlooked by its more accessible neighbours – Two Jacks Lake and Lake Minnewanka. 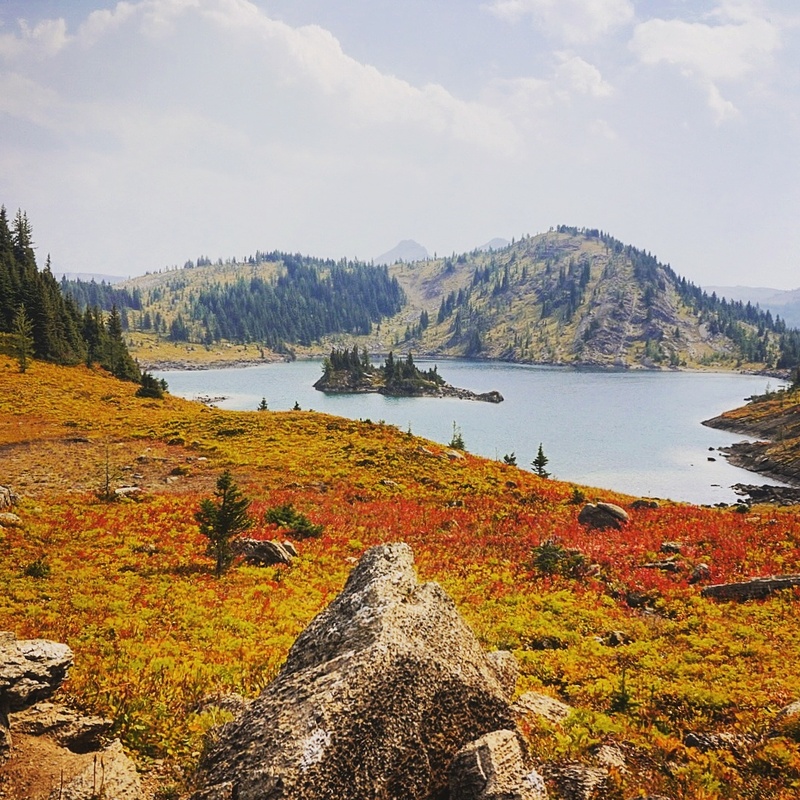 Beyond its 360 degree mountain vistas, Johnson Lake is popular amongst the locals for the diversity of outdoor activities it supports in all seasons! When the snow settles, the 2.5km circular walk around the lake makes for some ideal snowshoeing. 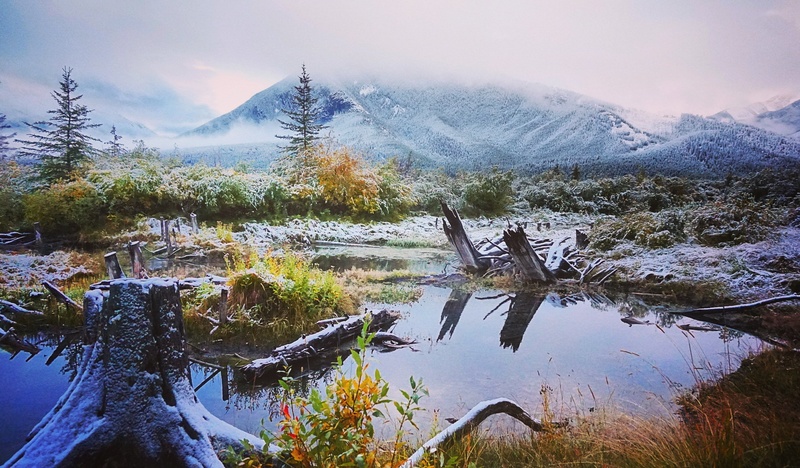 With a relatively gentle gradient and minimal elevation gain the terrain is family friendly, while the views of Mt Cascade and Mt Rundle are spectacular! If skating is more your thing, the frozen lake offers some excellent free ice skating! Just check out how thick the ice is first though! When the snow melts the circular trial makes for an excellent and easy short hike. You can even bring your dog (must be kept on a lead). Note mountain biking is prohibited. You can show your true local’s knowledge by hunting for the Hermit of Inglismaldieè’s Lodge. 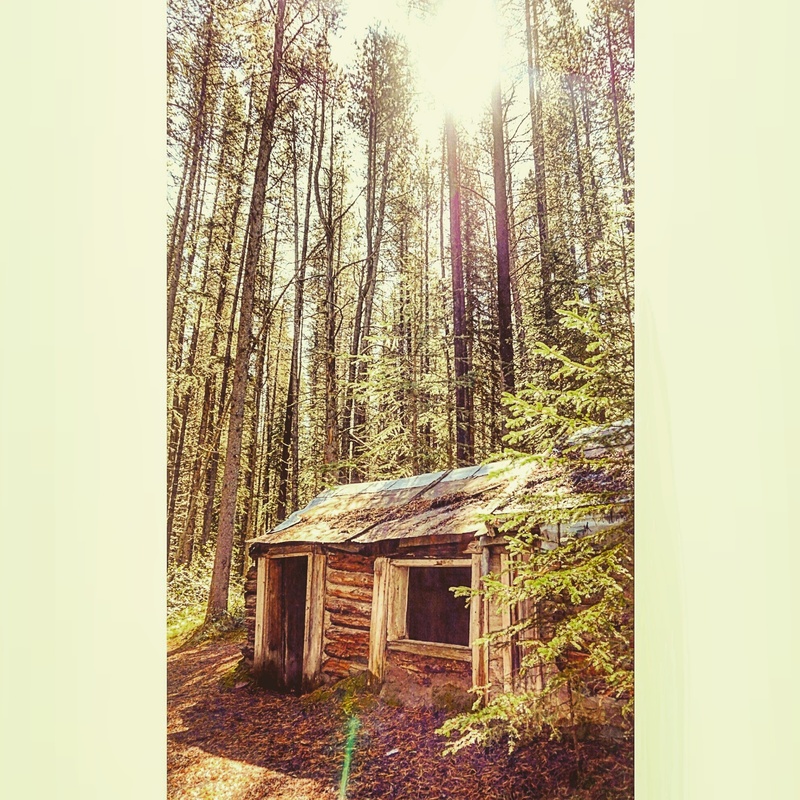 Billy Carver built the cabin in 1910, living as a recluse for 27 years! There are no signs so it is a true treasure hunt! Hint: it’s on the south side of the lake! 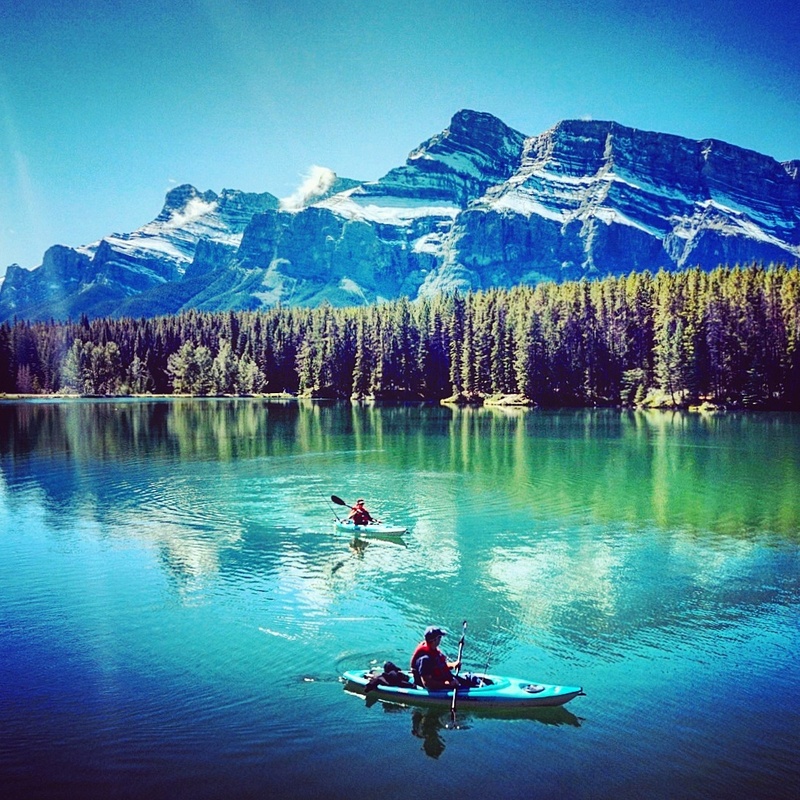 Of all the lakes in Banff National Park, Johnson is the warmest for swimming, and our favourite “sport” of floating. However, be warned that even the locals turn up in their hundreds on a warm summer’s day so best to arrive early or ride your bike! The summer also makes for some epic sunsets! The changing colors of the trees make Johnson Lake an idyllic time to visit with your kayak, canoe or paddleboard in Fall! 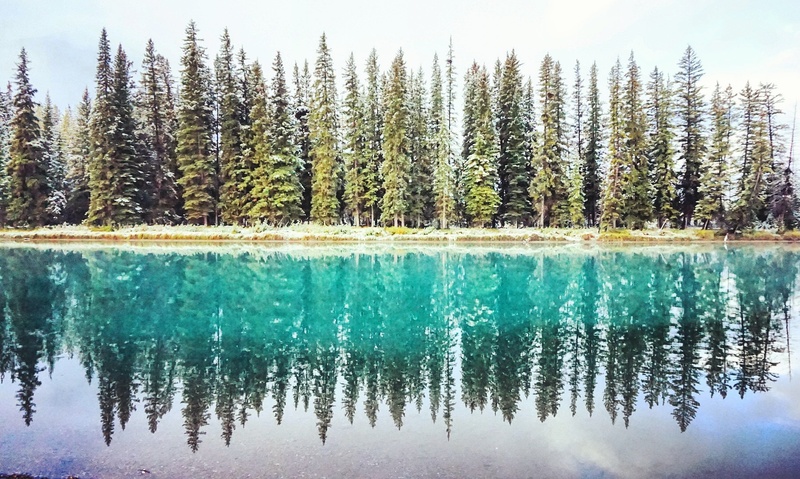 Whatever the season, join the locals and plan a trip to Johnson Lake to capture a taste of Banff National Park! 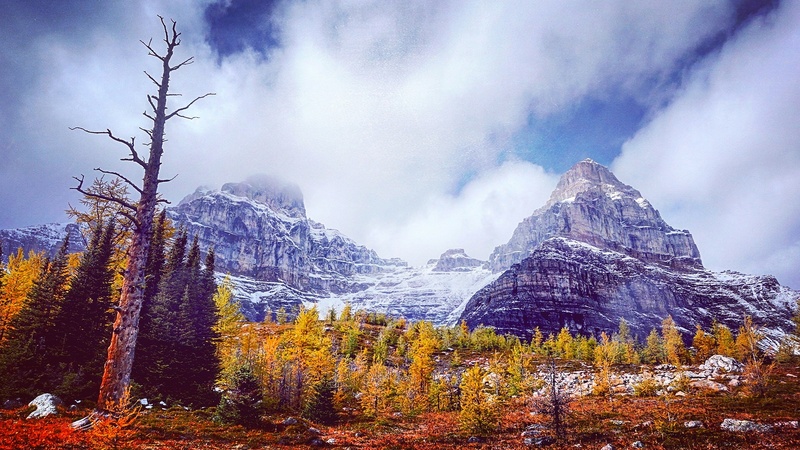 A picture story where Fall colours meet mountains, lakes and the onset of Winter in Banff National Park. Mt Rundle reflecting in the calm waters of Two Jacks Lake. Snow-dusted trees along the banks of the Bow River. Golden larches above Moraine Lake in the Larch Valley. 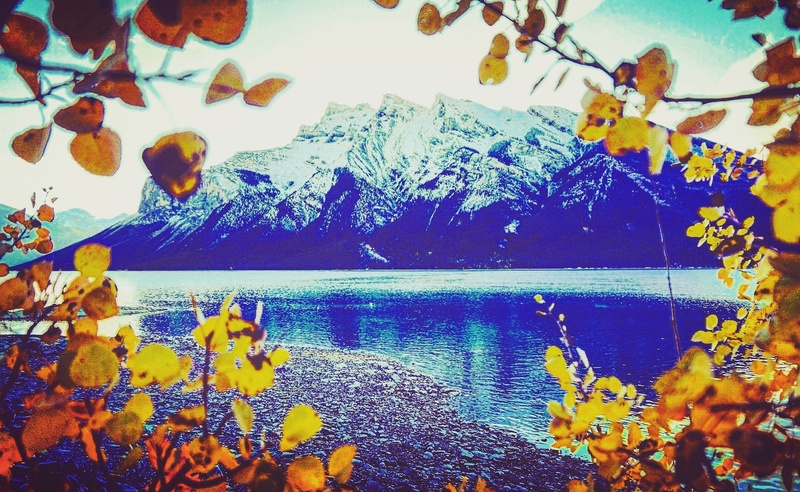 Looking at Lake Minnewanka through the eyes of Fall. The view from Highway 1 as you drive through the park. Magical sunset over Johnson Lake. The view of the Three Sisters from the park’s east gate. The changing Fall colours at Sunshine Meadows. 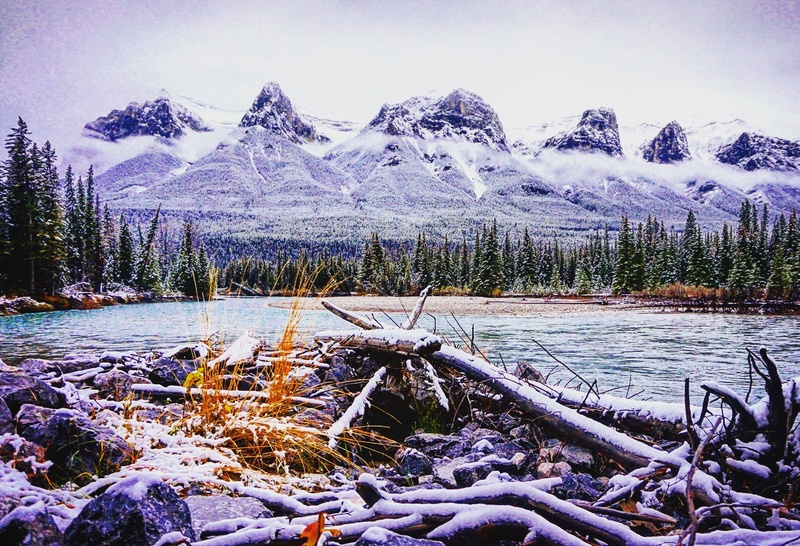 Welcome winter to Banff National Park – thank you for a WonderFall journey! Convinced that my wife Helena’s surprise 30th birthday long weekend vacation was a gambling trip Las Vegas, she was super happy to see an Orange County sign as we headed south from LAX airport. This excitement was driven by her love of Seth, Summer, Ryan, Sandy, Julie and Caleb from the hit TV series aptly named the OC! The OC is known as one of California’s more affluent areas, and so we decided given it was Helena’s birthday to treat ourselves and check into the exclusive Balboa Bay Resort after being attracted by the blue skies and waterfront location on their website. On check in Paul realized he should have maybe done his research a little better on what to pack. The Resort’s welcome guide stipulated that a dinner jacket was required for evening reservations in the Resort’s First Cabin Restaurant. With only a suitcase containing flip flops, board shorts and surf t-shirts our hopes of a steak dinner in our sailing club home for the night were dashed! After checking in, we went for a walk and soon discovered super yacht after super yacht adorning the hotel’s southern edge; a true boat lovers paradise! The centre of the Resort had a lovely swimming pool, surrounded by sun loungers and waiting staff who were keen to serve you whatever drink you fancied! On the walk to back to our room we passed the Wall of Fame, which showed some the Resort’s more distinguished guests including former US Presidents such as Nixon and Hollywood A-listers including Jack Nicklaus…..although we were disappointed to find that Sandy Cohen had not stayed there! The Resort also had its own private beach and another pool which were for use by residents of the complex, but could be used by guests ….discreetly. The Resort also had a great Spa which Helena thoroughly enjoyed, while the patio breakfast (no jacket needed) overlooking the water in the morning sunshine was also exceptional! With our initial restaurant plans scuppered, we adopted the let’s walk and just find something approach! After scouring the area for about 30 minutes we were unable to find the diner that Ryan, Seth, Marissa and Summer frequently visited, so we decided upon the Rusty Pelican which was incredibly busy inside! After a short wait we managed to negotiate a table in the upstairs bar area, and ended up a cosy corner booth overlooking the harbor. The service was lively and fun, the fresh fish exceptional, the wine flowing and the views of the harbor terrific! Newport Beach town center was not what we had imagined. The expected high end wine bars and Gucci shops were non-existent. Instead they had been replaced by numerous cheap bars with young locals and tourists bar hopping from one loud music playing venue to another. However, we headed down the beach a few hundred yards where peace and quiet was restored, and Paul tried to act out a scene from Baywatch (clearly no slow motion action shots required in this take). A few miles north of Newport Beach lies Huntington Beach, which claims to be the home of California surfing, This town was altogether different and had a very relaxed vibe, with market stalls selling homemade necklaces and small booths selling fish and chips. It is the place that Hollister have a live video feed from in their stores if you ever visit. We would suggest hiring a SATNAV if you are driving – you definitely need one to get to the OC, or drive anywhere in LA for that fact. To get to the OC from LAX Airport be prepared to drive on Freeways which are up to 8 lanes wide in each direction (16 in total). An alternative is to fly to Anaheim (John Wayne) Airport for a shorter drive! A trip to India is not complete without visiting the country’s capital of cool, where “cosmopolitan” feels a little too straitjacket to describe the pulse this city beats to. With over 18 million residents, the hustle and noise are relentless. The car horns provide a constant backdrop to the energy that is exhibited from those who are just trying to survive to those who are displaying cutting edge western brands. You are always at your most vulnerable when you first arrive in a new location. Never wanting to rely on the security that a highly overpriced hotel car will cost you for a man with sign with your name on it at Arrivals, we would recommend getting a prepaid taxi. The booth can be found just inside the main arrivals hall, and a trip into Colaba (the main tourist spot) will set you back around 750 rupees plus another 55 rupees for the new bridge toll. Don’t be concerned that the luggage loaded on the poor excuse for a roof rack will at some point join the highway floor – a combination of physics and good luck will keep it there. The 25 km trip will take somewhere between 1 hour (bad traffic), 1.5 hours (very bad traffic) or 2 hours (normal traffic). Prepare your ears for the constant horns, your eyes for last minute weaving and a will for peace of mind. There are many options in Mumbai from cheap guest houses to luxury hotels. For us, there was only 1 choice – the historic and legendary Taj Mahal Palace. Steeped in tradition, this phoenix has risen from the ashes following the horrific terror attacks in 2008. With all visible scars removed and the security significantly heightened the hotel has been restored to the splendor of the colonial age. The magnificent architecture is only matched by service levels we have never experienced before. From check in to check out, no staff member can do enough to make you feel like a visiting member of the British Royal Family. The rooms are exquisite, the food divine and the price tag reasonable if you stay outside of peak season (December to February). The good news is the must-see sites of Mumbai can be viewed through a good walk. Starting at the historic Gate of India, where the British departed India in 1946, you can take some great photos of the Taj Mahal Palace. There are obviously the usual touts, tourist tack sellers and everyone else you can think of trying to claim some of your dollars. Unless interested, just say no and walk on. Next stop is the Prince of Wales Museum (locally now called Chhatrapati Shivaji Maharaj Vastu Sangrahalaya), which offers some wonderful colonial architecture. Carrying on heading up the road through the bazaars and financial district to the Victoria Terminal (aka Chhatrapati Shivaji Terminus), the largest train station in Asia and a World Heritage site. Take a peek inside and try to avoid being carried away by a sea of people in a hurry. Turning back you can take a walk to the Rajabai Clock, which is set inside the University grounds. Following the 2008 attacks you cannot enter the grounds, but the impressive views can be seen from the nearby park where you can also enjoy watching several cricket matches at any hour of the day. Watch out for flying balls! Head back to Colaba Causeway and indulge in some shopping, but make sure you haggle. Electric Bombay, FabIndia and Good Earth offer air conditioned options if looking for fashion, local attire and handicrafts. For lunches, Indigo Deli offers an upmarket deli option with Perrier water to suit. Cafe Mondegar provides a more down to earth offering with hundreds of options from around the world. We chose to dine on the rooftop at Indigo, and the food matched our elevated position. Local seafood meeting Indian spices made for a mouth-watering combination. We went for a local Indian wine, Sula, which served as our bottle of choice for the rest of our trip (we quickly worked out drinking imported wines would bankrupt us). Leopolds is a legendary post dinner watering hole, perfectly captured in the book Shantaram, which is a must visit even if you wait 30 minutes for a drink! December to February are considered the coolest months in Mumbai, but with that brings the bigger crowds and higher prices. We chose to visit in late March and we started to feel the heat rise to a bearable high 30s, with significant humidity. We were warned to avoid the months of June and July when near 100% humidity and high 40s heat can drive many to the edge in a city that is often already there. Crossing the road is like riding a roller-coaster– thrills, adrenaline, fear, surprise and relief. Our best approach was to cross with a few locals to create a large mass for drivers to swerve around. It’s hard not to stand out like a walking dollar sign, and for that many will want to talk to you. Wear a money belt, and say no while on the move. Most will give up at this point. Avoid anything that sounds too good to be true – you can only be scammed if you are greedy (quote from Hustle). Go in with your eyes and heart open, and you will leave Mumbai feeling exhausted, overwhelmed but alive with the energy and vibrancy you have just been a part of.